On Monday, the State Council raised the QFII quota from 150 billion US dollars to 300 billion US dollars, triggering news of foreign investment of 100 million yuan, and smashing financial media. The QFII system is a transitional measure adopted after we joined the WTO and promised to open up the economy and capital markets. QFII targets include pension funds, charitable funds, endowment funds, trust companies, and government investment companies. When the stock market is at a difficult bottom, the confidence of domestic investors is in a downturn or even desperate. The shortage of incremental funds in the market is a real problem. The relevant state departments have once again made heavy punches and introduced long-term funds to the stock market, according to the State Administration of Foreign Exchange. On January 14, the news released that in order to meet the needs of overseas investors to expand investment in China's capital market, the total amount of qualified foreign institutional investors (QFII) increased from US$150 billion to US$300 billion. Looking back at QFII's five-time increase, it seems that it is always associated with the sluggish stock market and the introduction of funds. Our stock market has long suffered from a large IPO and reduced pressure. The market has always been short of money, and the stock market trend is always super Falling, various policies are needed to boost the market. The CSRC has always been the focus of work for the stock market. After China joined the WTO, financial openness has become an agreed commitment. An unavoidable fact of the WTO, after several years of preparation, QFII, a non-freely convertible over-product under the capital project, has finally come to the Chinese stock market. It is always associated with the bailout to sort out the development of QFII. With some utilitarian purposes, QFII has grown with the stock market falling and bailout. With the rescue of the market, the system has gradually improved and become an indispensable and important investment in A shares. One of the institutions. A-share investors are immature and the supervision is not mature. Therefore, there have been long-term bad investment practices such as the concept of speculation and speculation, and the exchange rate of stock market volatility is relatively large. Therefore, it is necessary to shape a value investment and long-term investment concept. As the institutional fund of mature market, QFII is heavily relied on by the domestic market. It is hoped that the introduction of QFII funds will bring value investment long-term investment ideas and smooth market volatility. QFII funds will become the target of certain experts to save the market, and increase QFII quota as stock market. The bull market opened up and looked good. QFII is indeed a mature institution, and its investment philosophy is slightly different from that in China. The stock selection focuses on growth and liquidity, and does not favor small and medium-sized stocks with poor performance. According to the calculation of relevant institutions, QFII has gained a lot in A-shares.Changjiang SecuritiesAccording to a research report, from the beginning of 2005 to March 23, 2018, QFII's annual average rate of return is as high as 22.43%, ranking first among institutional investors such as funds, insurance, brokerages, banks, and social security. From the operation of individual stocks, QFII is indeed extraordinary, but also has more patience. In the face of the booming market, it is more rational. If you can do it, you will not be greedy. You want to put a little bit of fish in the end. The tail should also be eaten into the stomach, like the operation of Morgan StanleyGree ElectricIt is a classic example. The 2006 semi-annual report showed that Morgan Stanley's 4.14 million shares first appeared on the list of Gree Electric's top ten outstanding shares, holding 4.34 million shares, and by the end of 2006, it increased to 9.15 million shares. Gree Electric's share price rose by 32.84% from the end of June 2006 to the end of 2006. Morgan Stanley is the first battle. In 2007, A-shares entered a big bull market with a rare history. The Shanghai Composite Index climbed steadily, but Morgan Stanley resolutely withdrew from the market. There was no trace of nostalgia. Until the 2010 quarterly report, Morgan Stanley bought 2837 again. 10,000 shares of Gree Electric Appliances, and all the way to increase to 70.95 million shares at the end of 2014. In 2015, the Shanghai Composite Index triumphed, the market investment atmosphere was enthusiastic, and Morgan Stanley began to reduce its holdings. By the third quarter of 2015, Morgan Stanley had disappeared from the list of the top ten shareholders. However, from the huge gains of the entire QFII, in fact, there is a great relationship with the A-share policy changes and the stock market trend, that is, all kinds of bad news lead to a stock market crash, the regulatory layer always expands the QFII investment scale when the stock market is at a relatively low level. Attracting QFII to configure stocks, followed by various favorable policies to save the market and promote a round of strong rebound or bull market. It gave QFII a good time to make a bottom-up, which laid a good foundation for QFII to obtain excess profits, and also created a rare opportunity for QFII to obtain good profits. Therefore, despite the opportunities brought by the new investment concept, QFII can't deny that human factors have made QFII profitable in a timely manner. Don't over-exaggerate QFII's investment talent. As it is now, Beishang Fund is hailed as smart money by the market. It is a sigh that the stock market has been copied by foreign capital, but in fact, there is no policy at the end of the copy and it will be copied halfway up the mountain. In the 18 years, the capital in the north has bought 300 billion yuan, but the stock index has dropped from the 3,587.03 points at the beginning of the year to a minimum of 2,449 points. Many of the funds lost in the bottom-up are huge, which is the preference of the north.China Merchants BankIt is also a big drop. At the beginning of QFII, it is not necessarily to simply bring incremental funds to the stock market. On the one hand, it fulfills the commitment to enter the WTO, it is also the need for the opening and internationalization of the stock market. On the other hand, it brings new investment ideas to the excessively speculative stock market. That is the long-term investment value investment, and the third is to bring long-term funds to the stock market. However, since the expansion of the QFII investment scale, it has been possible to save the market, and it has already brought utilitarian colors. On June 12, 2001, the State Council officially issued the Interim Measures for the Administration of the Reduction of State-owned Shares to Raise Social Security Funds. The two cities experienced a sharp decline. Although the state-owned shares were suspended, the short-term upswing was only a short-lived, and there was no IPO. The stock market continued to fall. In 2002, A shares were also out of decline. Investors were quite vocal. On November 7, 2002, the China Securities Regulatory Commission and the People's Bank of China jointly issued the Interim Measures for the Administration of Domestic Securities Investment by Qualified Foreign Institutional Investors. ("the "Measures"), "Measures" officially implemented since December 1. On the one hand, the market does not know much about QFII. At the same time, Yuanshui can't save near fire. On November 8th, the stock index fluctuated sharply. The day opened higher by 10 points, the lowest in the day was 1517.39 points, the highest was 1573.10 points, and the amplitude was 55.71 points close to 5%. The day fell 2.06%. Since then, the stock index has fallen all the way. The Shanghai Composite Index closed at 1348.71 points at the end of 2002. Many stocks fell into the price of cabbage. On December 1, UBS Warburg was creatively submitting an intentional application to the China Securities Regulatory Commission, indicating that the foreign investment is optimistic about the stock market. From June to November 2003, UBS, 10 foreign-funded institutions such as Nomura Securities and Citigroup Global Finance received 14 billion US dollars of investment quotas 14 times. During this period, A-shares fell 11.36%, and the Shanghai Composite Index closed at 1397.22 points. It can be seen that the market is still cautious about QFII investment in the stock market. Entering A shares is the savior of the market. This high-profile attitude reflects what signal, but it is not known, but QFII is the first to buy, the Shanghai market still fell 0.58% to close at 1503 points, but can not stop the stock index from falling, but from 130.30 points on November 13, that year The A-share market stopped falling and rebounded. As of April 7, 2004, the Shanghai Composite Index reported that the 1783.01 Shanghai stock index had accumulated a cumulative increase of 34.66%, and foreign capital still gained profits. As of the end of 2003, QFII held a total ofYili19 shares of A-shares such as ZTE, holding a total of about 60.635 million shares, with a market capitalization of about 759 million yuan, and 19 stocks holding a market value of 759 million yuan, indicating that QFII is more concentrated and there is a warmth. The tendency is also related to the fact that there are not many major stocks at that time. Yili shares and ZTE are both super bulls in the future. It can be seen that the QFII stock picking ability is indeed superior. This round of the market began to erupt on January 14th, the same dayChina UnicomDaily limit,SinopecAnd China Merchants Bank also followed the daily limit. The reason for the skyrocketing was related to the investigation and expectation of the chairman of the China Securities Regulatory Commission. It was also related to some favorable policies from the market. After all, the market has fallen for a long time, and people's minds have risen. In terms of the index trend, this is the first time that the foreign representative QFII has successfully bottomed out. After all, the bottom spot is only about 13% different from the lowest point. From the selection criteria introduced by relevant people, it is different from the domestic investment concept. It mainly focuses on liquidity, that is, the market value is large, followed by corporate governance to be transparent, third, performance growth is good, and fourth, in line with national economic development ideas. . From the perspective of revenue, this QFII should not be too bad. inOn April 7, 2004, after the Shanghai Composite Index peaked at 1783.01 points, it fell all the way. The reason for the decline was not unrelated to the IPO volume. In 2003, the financing was 45.546 billion yuan. In just 14 months, the IPO financing reached 37.069 billion yuan. In the face of market doubts, new shares were suspended again in August 2004, and the reform of the new share issuance inquiry system was launched. It is hoped that the stock market will be boosted by the new share issuance reform. On June 6, 2005, the Shanghai Composite Index bottomed out at 998.23 points. However, there are still some sideways shocks in the stock index, and there is no decent rebound. After all, the damage is too deep, and the recovery of confidence is not a good one. From September to December 2005, 10 foreign-funded institutions including Citigroup Global Finance, Hong Kong and Shanghai HSBC, Credit Suisse and so on received 10 investment quotas. During this period, the QFII quota was increased by US$6 billion, and the market had a total of 10 billion. The QFII quota of the US dollar can be applied for and used. Since then, the CSRC has begun the reform of the share-trading structure with the courage of breaking the boat. The consideration based on the shareholding split has stimulated the market's great enthusiasm. China's stock market ushered in the bull market with the longest time-long increase, with the stock index rising to a maximum of 6124.04 points. From 998 points, the price rose more than 6 times. At the end of 15 years, the Shanghai Composite Index closed at 1161.05 points. From this point, the cumulative increase in 22 months was 412.88%. This round of bull market is a bull market dominated by public funds, and it is also a bull market with weights of white horse stocks.Ping AnChinese ships,China Shenhua,CITIC SecuritiesAfter becoming a super bull market, QFII once again successfully bottomed out. Although the author did not consult QFII specific profit data, according to QFII stock selection logic, it should be a great success, and it is very explosive. More crucially, QFII began to lighten up the situation at more than 5,000 points. QFII executives began to take a holiday break and successfully evaded the plunge in the market outlook. The tragedies like PetroChina and QFII are not at all. QFII completed a wave of God's operation, and made huge profits to go on holiday, leaving behind investors with high positions. The stock-changing bull market ended with the issuance of super-large-cap stocks represented by PetroChina. The end of the A-share bull market is always related to the expansion of the IPO. The long-term decline is always related to the IPO being questioned by investors. In 2006 and 2007, it was also the financing year, with financing of 164.256 billion yuan and 459.878 billion yuan respectively. After the stock index peaked at 6124, A shares have been in a downtrend channel. Until today, 6124 is still an insurmountable high. In 2007, the US subprime mortgage crisis began to emerge. In 2008, the subprime mortgage crisis gradually spread to the world and began to hit the world stock market. The Chinese stock market was no exception, and it continued to fall. On October 28, the Shanghai stock index fell to a minimum of 2664.93 points. In the face of the stock market decline, the CSRC is also a bit stunned and has begun to implement the bailout strategy. Although there are many doubts in the market, the IPO cannot be slowed down and it cannot be suspended. That is to further increase the opening up to attract more foreign countries. Funds, October 25, 2006, Patek Asset Management Co., Ltd. was granted QFII qualification, the amount of 10 billion US dollars will be exhausted, trapped in QFII quota, and the qualification examination work is temporarily suspended until 2007, according to the second The results of the China-US Strategic Economic Dialogue, China increased the total QFII to 30 billion US dollars. At the end of 2007, the CSRC, especially the SAFE, applied to the State Council for additional QFII 20 billion US dollars. The Securities Regulatory Commission and the SAFE have resumed the approval of the QFII qualifications and quotas, which was probably used up by the end of 2010. On March 12, 2008, the stock market plummeted. After a year and five months, the QFII qualification was reopened. The Colombian alumni endowment fund was approved as the 53rd QFII institution in China, which was interpreted as “partly for bailout purposes. ". However, it does not stop the stock market from falling further. It is the truth that the disease is like a mountain. At the end of August 2008, the Shanghai stock market closed at 2397.37 points. Since then, a new round of QFII investment institutions has been expanded. September 2008 ~ In February 2009, 17 foreign-invested institutions such as Prudential, Samsung Assets, Norwegian Central Bank and HSBC Global were approved for 20 times. On September 16, 2008, the IPO was suspended. The time difference between the two is not too much. Shares fell 13.12%, the Shanghai Composite closed at 2082.85 points. After the stock index hit 1664 points, the Shanghai stock index rose for five consecutive months, with a cumulative increase of 63.82%. At that time, the biggest gains were in banks, coal, steel, automobiles, and non-ferrous, that is, five golden flowers. It is estimated that this round of bull market QFII is also very fruitful. On August 4, 2009, the Shanghai Composite Index's peak at 3,78.01 was not unrelated to the IPO. It was also related to the monetary policy shift after the spur of the trillion, and the new shares were restarted on June 29, 2009, with a total financing of 20,219 million yuan. This is followed by a new round of decline. I don't know if it is a hedge against the stock market decline, or coincidence. On September 4, 2009, the foreign exchange bureau issued the "Regulations on Foreign Exchange Administration of Domestic Securities Investment by Qualified Foreign Institutional Investors (Draft for Comment)", and the maximum investment quota for a single QFII application increased to 10 One hundred million U.S. dollars. This round of adjustment began to accelerate on April 16, 2010. Although there has been a rebound during the period, in the overall trend, the main tone of the stock index is falling. This round of falling markets directly points to the pseudo-marketization reform of new stocks. There has been a distressing three-high leap-forward release, not only the three high-issuance issues, but also a large number of problems with the company's listing. Many notorious fraud companies are the products of this period. In the 10 and 11 years, they respectively raised 488.09 billion yuan and 278.0 billion. Yuan, the market confidence is lost, and the stock market continues to fall. In the buzz of the market, new shares had to be suspended from the bailout in October of October. The stock market fell, QFII is also a trepidation, the main investment in the bond market rather than the stock market, which is somewhat contrary to the original intention of approving QFII to enter the stock market. In order to correct this problem, the CSRC will propose a stock ratio of QFII in 2010. The principle requirement of 50% and cash ratio of not more than 20% is obviously to force QFII funds to enter the stock market. In the face of the market that is not falling, domestic funds are reluctant to step into the stock market and re-investigate QFII in 2010. At the end of October, a total of 103 overseas institutions were granted QFII status, and 4 in October 2010 were approved. The domestic stock market fluctuates greatly and the risk of long-term shareholding is also large. In order to hedge the risk, on May 4, 2011, the CSRC issued the “Guidelines for Qualified Foreign Institutional Investors to Participate in Stock Index Futures Trading” ( No. 12 Announcement), allowing QFII to be based on Hedging participates in the stock index futures market. The CSRC gave QFII a single food, allowing QFII to hold 100% of the shares, which caused some people's doubts to be unfair. In order to attract foreign investors to increase the allocation of stocks, it is also a matter of kindness. In the face of the adjustment of the stock market, the CSRC has once again increased the QFII expansion. On April 3, 2012, the CSRC, the People's Bank of China and the SAFE decided to increase the investment quota of Qualified Foreign Institutional Investors (QFII) by US$50 billion, and the overall QFII quota for the Chinese market. It reached 80 billion US dollars. From June to November 2012, 25 foreign-funded institutions such as AIA, Macquarie Bank and BlackRock Institutional Trust obtained QFII quota. At the end of June 2012, the Shanghai Composite Index closed at 2225.43 points. After that, it fell all the way to 1999.48 on September 26, 12, and began to rebound. The highest rise to 2244.80 points on February 18, 2013, an increase of about 25%, which is about 10% higher than the QFII expansion time window. This round of rebound QFII is difficult even if it has too much revenue. After that, it was another round of decline. It has been falling to the lowest point of 1846.65 on June 25, 13th, and it has rebounded. If it is not only winning, I am afraid it will not be spared. In 2012, 72 new QFII institutions were approved, with a new approval quota of 15.803 billion US dollars. As of December 31, 2012, a total of 169 QFII institutions had accumulated a total investment of 34.443 billion US dollars, and QFII achieved substantial breakthrough development. On July 27, 2012, the CSRC issued the “Regulations on the Implementation of the Measures for the Administration of Domestic Securities Investment by Qualified Foreign Institutional Investors”, revised the scope of QFII investment, and relaxed its shareholding ratio from 20% to 30%. %, and stressed that attracting more foreign long-term funds into the domestic capital market. In the face of the decline in the first half of 2013, the CSRC said on July 12, 2013 that the QFII investment quota has increased to 150 billion US dollars. This year, 22 new QFII institutions have been approved, with a total of 229, and the newly approved quota is 6.02 billion US dollars. Since QFII, the net remittance has exceeded RMB 60 billion. Although the stock index has rebounded, but this round of rebound is not strong, it is still not easy for QFII to obtain excess returns. However, the China Securities Regulatory Commission has launched a new round of new share issuance system reform, which is to balance the rational allocation of new shares, so that the market has a clear expectation, and the central bank began a new round of RRR cuts, and there is a fund shortage saying, 2014 After seeing the end of 1974.38 on March 12, it ushered in the second largest bull market in history. The Shanghai stock index rose to a maximum of 5178.70 points. Since then, QFII, which has been continuously approved, has successfully tapped the bottom and gained some dividends. However, according to QFII holding habits, there should be no Get excess profits, after all, QFII heavy positionsGuizhou MaotaiAnd Gree Electric, China Merchants Bank, etc. did not have outstanding performance. However, in the 17 years, the CSRC began a new round of supervision and new policies, which is to crack down on market manipulation and guide long-term investment in value investment. This is not wrong in itself. However, under the leadership of the securities company, the public fund is represented by the market and the market rescue fund is joined. The ushered in the extreme secondary differentiation trend, Gree Electric Appliances, Guizhou Moutai, etc. became super bull stocks, domestic funds for QFII heavy warehouse stocks sedan behavior is very obvious, the securities company dominated the market so that QFII became a vested interest, and finally QFII success The high position of the company, such as the Auburnheimer Fund Company of China's Moutai-China Fund, has been heavily stationed in Maotai since the fourth quarter of 2014, and it has been withdrawn in the third quarter of 18 years. Nearly four years, the return on investment is about 300%. Oppenheimer’s buying cost is about 850 million yuan, which is about 2.55 billion yuan. The financial deleverage was too hurried, resulting in a complete failure of the 15-year leveraged cattle reform. The Shanghai and Shenzhen markets experienced irrational fluctuations. In 17 years, they started the normalization of new shares. In fact, they entered the irrational IPO speeding issue, although they benefited from the reduction. The financing of a single company financing amounted to only 1982.58 billion yuan, but the number of IPOs was over 400. The investors were in conflict. In order to stabilize the index, the large funds traded the weights of the white horse stocks. Although the Shanghai Composite Index is stable, the stocks are terrible. In 18 years, due to the comprehensive factors such as IPO financial de-leverage and trade friction economic decline, it began to enter a large-scale adjustment. The Shanghai stock market fell to 2440 points, and the GEM fell below 1200 points, triggering the exposure of equity pledge, the CSRC and even more. The high-level coordination of relevant departments shouted the stock market and opened a new round of bailouts, which included further opening up the stock market and attracting foreign long-term funds to enter the market. Relevant people believe that the next year will bring 600 billion yuan of international incremental funds. From 2014 to 2017, Shanghai Stock Connect, Shenzhen Stock Connect and Bond Pass will be opened one after another. The QFII and RQFII channels are no longer the only choice for foreign investment in China's capital market. The interconnection channel has low investment threshold and flexible settlement. The characteristics of unlimited access and remittance have risen rapidly, and their use in foreign investment channels has also increased rapidly. At this point, the total amount of QFII has never been adjusted. However, on June 10, 2018, the Foreign Exchange Bureau announced in No. 1 of 2018 that the QFII monthly remittance was not more than 20% of the total domestic assets at the end of the previous year, which is equivalent to giving QFII more convenience and free access to funds. To attract QFII to increase investment, after all, the QFII quota has not been used up. At present, the stock market is still in a downturn, domestic funds are stuck, and new funds are urgently required to enter the market to complete more financing tasks. The State Administration of Foreign Exchange announced on January 14 that in order to meet the needs of foreign investors to expand investment demand in China's capital market, With the approval of the State Council, the total amount of qualified foreign institutional investors (QFII) increased from US$150 billion to US$300 billion. Although the current trend is unclear, after several years of decline, the value of investment has initially appeared, and various policies have all pointed to boosting the stock market. Like the central bank's successive RRR cuts, it has released 3.8 trillion yuan of low-cost long-term funds. The yield of the national government bond was once lower than the one-year MLF interest rate. The DR0007 interest rate was once lower than the 7-day reverse repurchase fund rate. This is a typical liquidity flood. 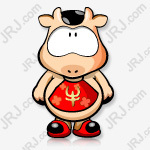 The liquidity bull market already has a monetary policy basis, and the CSRC and the senior management There have been speeches to reduce administrative interventions to increase stock market activity, and the space for stock market declines has basically been blocked, which is the question of how much will rise in the future. At this time, once again, the QFII quota has been raised on a large scale. In fact, it provides a good opportunity for foreign capital to bargain. It is very likely that QFII will be successful again. The stock market will not be in a long-term downturn, and there will be more favorable policies in the market. Officials of the China Securities Regulatory Commission said that domestic investors often guess the bottom of A-shares, so that domestic companies are afraid to buy and foreign investors are desperately buying. Judging the bottom is a very difficult thing, it is not easy to judge, so you are always afraid to go inside. Foreign investors do not count as income at the end of the year. The investment period is three to five years or even longer. Looking at the general trend, the Chinese stock market is undervalued. The Chinese economy is promising in the medium and long term and should not be at such a valuation level until December 31. Whether it is up or down has nothing to do with him. He looks at three to five years. It is true that domestic investors like to trade on the right side, and international investors like to do the left-hand trading. If they think that the stock price has fallen to their psychological level and think that they already have the investment value, they will gradually increase their positions. After all, QFII funds are very large. Adding a position cannot be done overnight, but a slow process to avoid a short-term rise in stock prices and increase the cost of holding positions. Many people ask why the A-share domestic investors do not buy or sell the bottom, but let the foreigners copy the bottom. Of course, there are mistakes in value judgment, but it is really helpless. Domestic investors have been in the stock market for too long, and they have always been issued or reduced by the IPO. The black swan has been exhausted. The only remaining confidence will be completely worn away by the market, and the funds will be trapped and cannot be moved. There is not so much money to add to the additional capital investment, not to mention the repeated copying and repeated collections, but also lost courage, but QFII is a bit different, the CSRC is always at the bottom of the market, when investors are desperate, open new A round of QFII quota expansion, QFII funds to the market is near the bottom of the market, the newborn calf is not afraid of tigers, I do not know that A shares are often oversold, but also have the courage to bottom out, very easy to copy to the bottom of the market, although valuable judgment The probability of being superior, but also the advantage of being in the right place. Therefore, not only copied to the bottom of the big bull market of share-trading reform, QFII continued to buy A-shares in 2004 and 2005, and successfully copied the historical outs of A-shares. However, if it does not meet the advantages of time and place, the supervision fails to save the market in time. The QFII bargain-hunting is not as accurate as the gods. In 18 years, foreign investors bought 300 billion yuan, because the 18-year stock market once again bears the global crown. Obviously, QFII is also a sneak peek. In the middle of the mountain, many stocks have fallen sharply. It is because the CSRC has not taken effective measures to boost the stock market. QFII is not particularly eye-catching compared with domestic investors. The Securities Times data center on August 19 Statistics show that since April 1st, 43 stocks of QFII holdings have fallen, accounting for 78%, of which 28 were underperformed by QFII holdings.Pilot intelligence,Venus Star,Bishui source,United equipmentDuring the 8-share period, the cumulative decline was over 30%. Taking Venus Star as an example, even after winning 4 QFIIs, its cumulative decline since April 1 has reached 36.58%. Looking back at history, the author suspects that the expansion of the QFII quota is not at the low level of the stock index. When the profit is good, QFII may not achieve great success in investment. As of the end of May 2018, the total amount of QFII was 150 billion US dollars, and a total of 287 institutions received an investment quota of 99.459 billion US dollars. As of the first quarter of 2018, the size of foreign shares (QFII+RQFII+Shanghai-Shenzhen-Hong Kong Stock Connect) holding A shares was about 1.2 trillion yuan, which has doubled compared with 600 billion yuan at the end of 2016. At present, the total market value of the two cities is close to 50 trillion yuan, and the proportion of foreign capital is about 2.5%. The development space of QFII is still very large. With further opening up to the outside world, QFII and other foreign-speaking voices will gradually increase, and QFII's stock picking ideas are worth learning. That is the core asset in line with the national economic transformation, like the QFII placardAnhui HeliIt is the leading enterprise of forklifts.